We come from the streets… literally. The brand was built on a passion for the industry. When we started our food truck we used all of our savings, and we put together a concept of what we thought people would love and enjoy. Our concept was simple: deliver amazing food, use quality ingredients, make things from scratch, and make the experience great from start to finish. 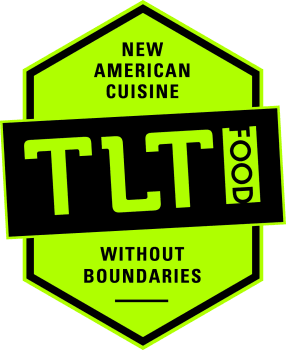 Now 2 years and 500+ dishes (off of a truck) later, we came up with our brainchild, TLT! TLT is unique. It’s a fast-casual, chef driven dining destination to come spend amongst friends. We’ve focused on all the things we’ve loved and tested on the truck, brought in amazing wine and beer, and summed it up with a really great ambiance. We’ve always had difficulties describing our style of cuisine, so we wont! But this is what we can tell you. Our menu is built off of pleasing the palate. Our menu is built off of pleasing the palate. The traditional style of eating is you pick one dish and you’re committed; it’s like getting married, and we all know the divorce rate. At TLT it’s about experiencing a few things. You can always pick one thing and have that be your meal, or you can make it more fun and mix and match. You’ll end up spending the same amount of money but you get to have more fun, and ultimately a better experience. We believe in being able to provide great wine and beer for an affordable price, but we also cheated a little. All of our bottles of wine are amazing and really affordable. All we do is charge a corking fee whether you bring in the bottle or we do. Our beer menu changes seasonally.